Background: The grounds were designed by renown Vermont architect William Pitt Wentworth and was the first to feature the "College Plan" architectural layout as opposed to the popular Kirkbride Layout used through much of the 1800's. The campus has been the filming locations for several motion pictures including Shutter Island and The Box. Why Visit? : Well, for starters, it is completely legal to walk the grounds of Medfield as long as you don't enter any of the buildings. The sign posted out front clearly states that visitors can "enter the grounds at their own risk from dusk until dawn." Photographers, explorers, and runners are welcome to take a jaunt through the 1.4 sq. mile campus still containing 35 dilapidated buildings. If you are feeling courageous, there are said to be tunnels leading from the medical building to the surrounding dorms; a rarity in the remaining Massachusetts state hospitals. Security Level: To the curious urban explorer, watch out. The Medfield Police keep a pretty good eye on the place with daily patrols in the morning (around 11:00am) and the evening (around 7-8:00pm just before dark). Background: The hospital is known for its early and modern approach to Tuberculosis as well as its unique Mediterranean Revival facade. This style of architecture is extremely rare for Massachusetts. The hospital also features a curved hallway connecting the original medical building to the newer expansion; another rare structural technique. Why Visit? : Photogenic qualities alone should draw you in. The county police have constructed a bordering fence rather then try to board up all the windows and doors. This allows for beautiful light inside the long halls and patient rooms. The hospital, while rather small compared to others in MA, still offers much to explore. Some cool features include balconies overlooking the courtyard, surgical equipment on the second floor, and research labs in the basement. Security Level: Plymouth is known for pretty intense security patrols. The Hanson Police will not hesitate to arrest you for trespassing in or around the building. 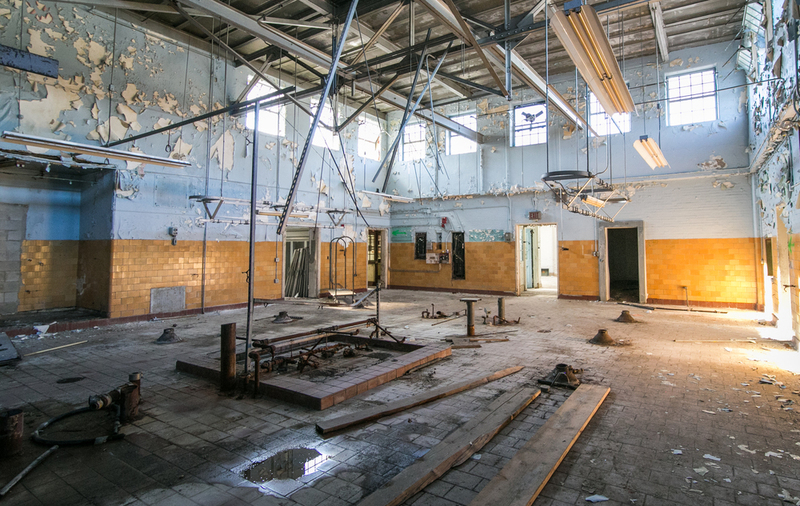 Background: These facilities were once home to Camp Miles Standish, a U.S. Army base that served as a prisoner of war camp and departure area for approximately a million U.S. and allied soldiers during WWII. After the war ended, the facility was then turned into the Myles Standish School for the Mentally Retarded. Why Visit? 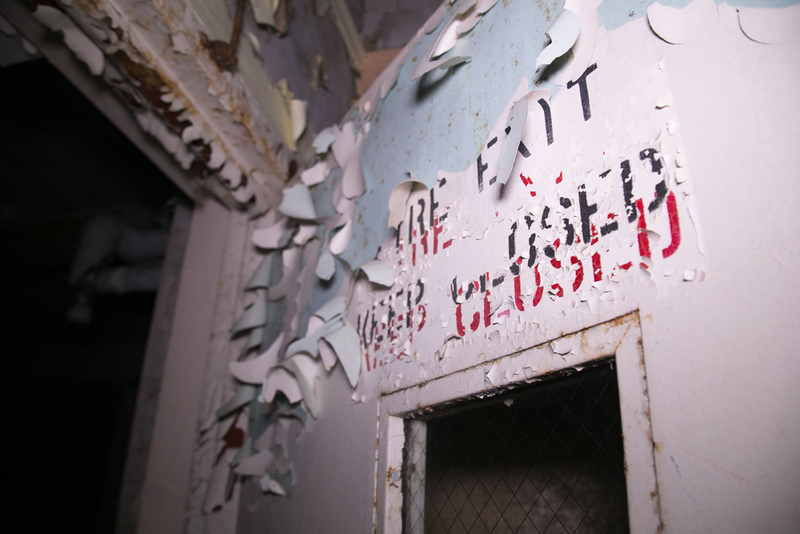 : A WWII military base gone insane asylum, must I say more? On top of that, there's about 1.5 miles of tunnels connecting the dormitory buildings. The site is currently being demolished to make way for condominiums, so you better hurry! Security Level: There is very little security outside of construction crews working in certain sections of the campus. Background: Belchertown is by far one of the most heinous, immoral, and downright terrifying examples of our mental health system falling short. The facility was forced to close in 1992 after losing a series of lawsuits pertaining to the inhumane conditions and patient treatment. The facility is said to have been understaffed and underfunded. Patients were reportedly tied down to their beds for days, chained to radiators, left laying in their own excrement, and force fed. When patients refused to eat, healthy teeth would be removed to make feeding easier for the attendants. Reports of abuse were withheld from authorities, and these atrocities were largely ignored during a period when state implemented programs were encouraging mental ill patients be institutionalized. Then in the early 1970's, the abuse scandal was leaked to the press, resulting in a litany of lawsuits until the school's eventual closure in 1992. Want to hear more? Check out this erie documentary. Why Visit? : Belchertown is far and away the scariest facility to visit. Rumored to be haunted, laughing children, apparitions, and loud footsteps are frequently reported. If you are looking for an adrenalin rush, check out the basketball court and gymnasium located in the sub-basement of the auditorium (thats two stories underground). You can also check out the miles of underground tunnels connecting the administration buildings. The main entrance located in the medical facility was demolished last year, so you'll have to find another access point. Security Level: There is practically no security. Much like Medfield, the grounds are legally open to the public. Several fires have led authorities to re-secure the campus in late 2015/early 2016. This consisted of a sub-par board up job, most of which has been ripped down since. Background: Westborough was the first homeopathic hospital to be established in New England. Crucial medical advancements, particularly involving Alzheimer's, were accomplished during the facility's 126 year history. At its peak the hospital housed 2,100 patients and 800 staff on its over 600-acre campus. Why Visit? : Miles and miles of tunnels. An erie dining hall full of broken plate-wear. Administrative offices with rotting wood inlay, chandeliers, and floor to ceiling bookshelves. A library with dusty books still open on the table. Go see for yourself. Security Level: While the campus is accessible by road, the buildings themselves are sealed up pretty tight. All the first story windows are boarded up and a 6-foot barbed-wire fence surrounds the main medical complex.